The University of Delaware Botanic Gardens (UDBG) seeks a motivated and talented student to enter its Masters program in Plant Curation. This program provides a unique learning opportunity to an individual interested in a curatorial career at botanic gardens, arboreta or other public horticulture institutions. The student will earn a Master of Science degree in the Plant and Soil Science Department at the University of Delaware. The successful applicant will receive an annual stipend of approximately $24,000, and tuition that is paid for by the College of Agriculture & Natural Resources. The expense of a UD parking pass is the student’s responsibility as are other fees the UD charges. The student’s primary experience will be gained through plant recording and the thesis project. The student will be trained using BG-Base and BG-Map with GPS location. The student will work at the UDBG as plant curator and will also spend time at other local institutions to experience that institution’s curatorial practices and philosophies and gain experience in some of the issues faced by a curator/plant recorder. The thesis project will be a project agreed upon in consultation with his/her advisor focused on plants, curation, or taxonomy. Additionally, students will have the opportunity to experience the richness of public horticulture in the Delaware Valley, and participate in educational opportunities and travel to appropriate professional meetings pending the director’s approval. Potential classes the student could take include: plant science, GIS, museum studies, curation and collections management, and plant taxonomy. See where our former Curatorial Assistants are now. Applicants must have a strong knowledge of woody plants, as well as an undergraduate degree in botany, horticulture, plant science, or related field. Previous work experience in botanic gardens or arboreta is not required but is preferred, as is a desire to choose living collections management and curatorial practices as a career. The applicant should also have strong written and oral communication skills, the ability to work outdoors in all weather conditions, serve as a mentor to students and interns, and the ability to work both as part of a team and independently. Applicants should demonstrate a strong sense of career goals and time management, as he/she will need to balance teaching, research, work, and classroom responsibilities. The student reports directly to the UDBG Director. For more information, contact Dr. John Frett, Director of the University of Delaware Botanic Gardens (jfrett@udel.edu). 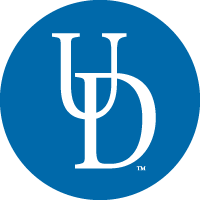 To apply, visit the University of Delaware graduate application web site, complete the application and send a letter of intent to Dr. John Frett, 152 Townsend Hall, University of Delaware, Newark, DE 19716. Applications will be accepted until a suitable candidate is identified.